I’ve been craving Chinese food but didn’t want to get take out so last night I made a stir fry dish with Jasmine rice and it satisfied the craving. 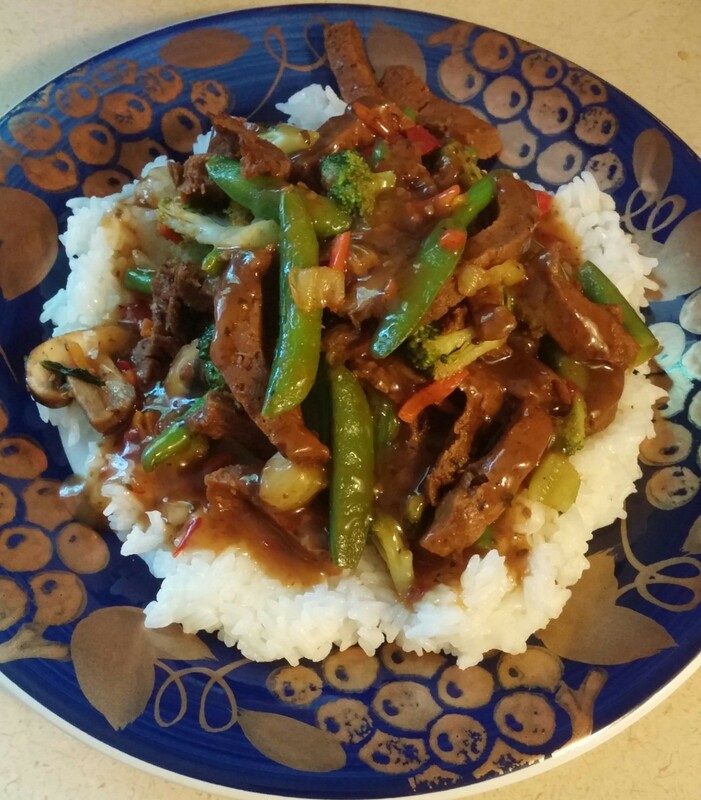 This is another simple recipe with only three main ingredients: rice, veggies, and seitan. 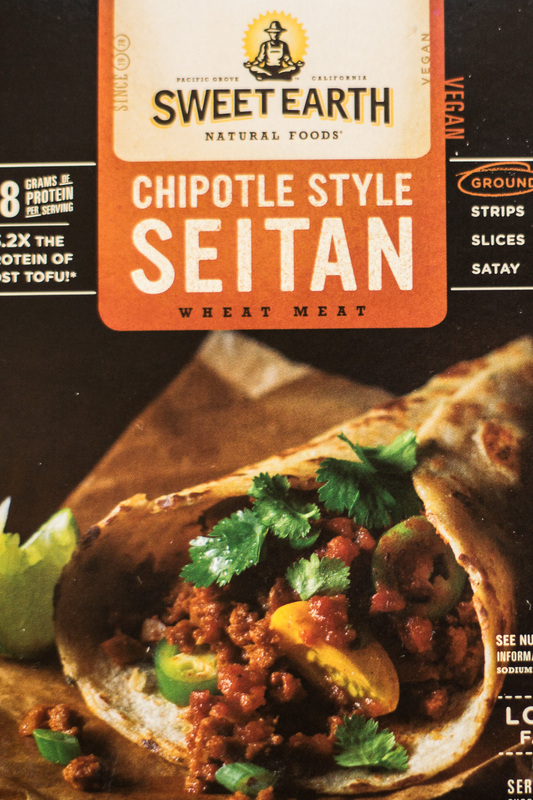 Seitan is a clean protein and meat substitute. Protein-rich seitan (pronounced say-tahn) is a tender and juicy food derived from wheat and prepared in a broth. In 7th century China, it was crafted by Mahayana Buddhist monks to support a nutritious, vegetarian diet. It’s low in fat and has zero cholesterol, and 27 grams of protein per serving (4 oz.). I used a frozen bag of stir fry veggies consisting of green beans, carrots, celery, and mushrooms. While the rice was boiling, I added the veggies to a hot pan with a bit of coconut oil. I also added a few more fresh mushrooms that I had cut up just for some added substance. As the veggies were heating up, I seasoned them with a bit of pink Himalayan salt and some powdered ginger. We switched to only using pink Himalayan salt back in March. It’s much healthier for you and is the purest salt there is. You can read about some of the benefits of pink salt here. I mention this because going forward, you’ll know that if salt is an ingredient in my recipes, I’m only using pink salt. Next, I added one box of Sweet Earth Chipotle Style Seitan to my veggies and stirred the mix until the seitan was heated through (It’s already cooked.) I added a small pat of butter to the rice for flavor and then scooped it onto the plate making a nice bed. Then I layered the veggie/seitan mix over the rice. I topped it with Thai Basil Sauce and served. This recipe serves 4 and is about 252 calories per serving. It has zero cholesterol, 3 grams of fiber, and 18 grams of protein per serving. Prepare the rice. Add a pat of butter for flavor. Sautee the veggies in a hot pan with coconut oil. Add Seitan and stir until heated through. Season mixture with salt and ginger. Serve the mixture over a bed of rice.